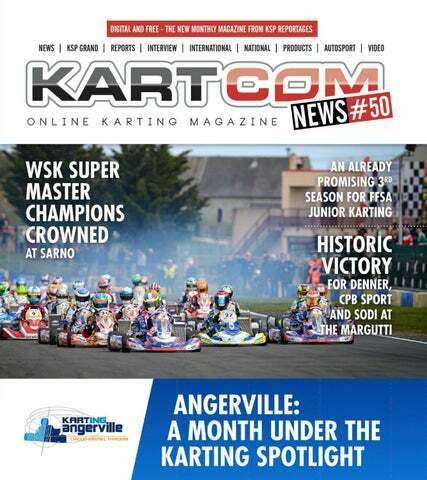 KARTCOM NEWS ALREADY AT NUMBER 50! online via the site issuu.com and downloadable as a PDF. These two formats complement each other perfectly to offer many viewing possibilities, from the phone to projection on a big screen, to make it a valuable tool for promoting the discipline. The 2019 season has now reached cruising speed with races every weekend. Without over-analysing the situation, it is clear that racing opportunities are not lacking, even that there are too many ... Still, internationally, the WSK Super Master Series has ended with a positive result that the WSK Euro Series would like to extend. In this area too competition is tough as the German Championship enters the scene at Lonato and the FIA ​​Karting European Championships are about to do so. It will be interesting to compare lists to see who can afford to do everything and what are the consequences in terms of results. KARTCOM NEWS #50 France can congratulate itself for having - finally - organised a federal competition gathering the international OK and OKJunior categories before the FIA ​​Karting events taking place on its soil. The first round at Angerville has largely confirmed the merits of this initiative by the FFSA which has also adopted 99% of the CIK-FIA regulations. Undoubtedly influenced by the adventures of Asterix and Obelix, the French have always struggled to follow exactly the same path as everyone else, maybe that's their charm... Finally, it was a pleasure to meet old friends from international karting at Angerville, teams that used to race with us that we had not seen for a long time. Take this as a good omen, as well as the almost entirely good weather at the meeting. JOIN TEAM FRANCE AND ACADEMY TROPHY 3rd in the 2018 French Junior Championship, Elliott Vayron was guaranteed to be part of the FFSA Karting Espoirs French Team and to defend the French colours in the FIA ​​Karting Academy Trophy. This year Elliott is taking part in an international programme in OK-Junior as an official driver with the Birel ART Racing Team, with the FIA ​​Karting European Championship and the World Junior Championship as his main objectives. on the verdict of the stopwatch. Mattéo Spirgel was as quick as he was consistent, so it was logical to award him a place in the FFSA Karting Espoirs French Team for 2019". Yvan Muller, Captain of the FFSA Karting Espoirs French Team: "For many years, the FFSA has relentlessly pursued its efforts with young French karting talent to support their journey to the highest level. This is a real opportunity offered to them especially as few countries around the world invest in this way. As the Captain, I am proud to share my experience with them, because I am well placed to know the importance of karting experience in a career in motorsport. The FFSA Academy is a remarkable tool to give them the essential information for their development and allow them to best express their abilities." Created at the dawn of the 21st century to support the best karting drivers to the highest level, the FFSA Karting Espoirs French Team has included some of the greatest French drivers in the discipline, some of whom then took the plunge to car racing, such as Loïc Duval, Jules Bianchi, Esteban Ocon and Pierre Gasly ... Under the captaincy of Yvan Muller, the FFSA Karting Espoirs French Team of 2019 consists of Mattéo Spirgel and Elliott Vayron. THE F1 DOCUMENTARY SERIES: HIGHLY RECOMMENDED! The series, "Drive to Survive" has taken a passionate personal view, while maintaining the rigour of a documentary. It is a success to the credit of James GayRees, producer of the famous documentary film on Ayrton Senna, as well as the determination of Formula One and Liberty Media to expand the audience for F1 with this coproduction with Netflix . rive to Survive" is aimed at the general public without having the usual flaws of this niche. There is drama, but not pathos, contrary to what might be implied by the title, as we are more interested in the complexity of the different aspects of this sport, both technically and in human terms, than the sensational aspects, even though the risk is not hidden. Enthusiasts will also find interest in this look behind the scenes of F1. However, viewers should not hold their breath waiting for revelations about the real work of the teams, which remains relatively secret. The big two, Mercedes and Ferrari, did not wish to open the doors of their pits to the film-makers. 10 episodes of 40 minutes retrace the 2018 season for Red Bull and Renault, without hiding the tensions accompanying their split, as well as Williams, Haas, McLaren, Force India... The remarkable career of Esteban Ocon is well illustrated, as is that of Checo Perez. The images, often unpublished, are superb and the editing heightens the suspense of racing in the purest spirit of TV. The series makes it possible to understand the discipline better than the simple follow-up to the Grand Prix. Launched shortly before the start of the 2019 season, "Drive to Survive" offers quality viewing for all motorsport enthusiasts. Watch now between race weekends on Netflix. LANDO NORRIS EN F1 A GREAT SOURCE OF PRIDE FOR RFM The 19-year-old British driver Lando Norris has just competed in his first Grand Prix for McLaren. Lando learned a lot in karting, especially during his two international seasons with the Ricky Flynn Motorsport team. e are delighted to have contributed to Lando's rise," said Ricky Flynn. "With us he won his first international victories that launched his career. It was a pleasure to work with such a motivated driver who was very receptive to the advice given to him. Under the colours of RFM, he was crowned European Junior Champion in 2013, then World KF Champion in 2014." Armed with his strong karting foundation, Lando Norris then took to the car racing stage with incredible brilliance. Winner of the British F4 Championship in 2015, he won the Formula Renault 2.0 Eurocup in 2016 and the FIA​​ European F3 Championship in 2017. His exceptional career and 2nd place in the FIA ​​F2 Championship in 2018 opened the doors of F1 to him as a McLaren driver. Disappointed not to have scored points in his first Grand Prix in Melbourne, Lando however managed a convincing race up to his finish in 12th position. A result that brought joy to his faithful supporters in the RFM team. 2019 SEASON LAUNCHED FOR THE FFSA ACADEMY The drivers of the French Junior Karting Championship and the French F4 Championship were invited to Le Mans on Tuesday 19th March to officially begin their 2019 season with the FFSA Academy, in the presence of FFSA President Nicolas Deschaux. talent thanks to its training centre," said Nicolas Deschaux. "The FFSA Academy is unique in the world, as it also supports racing mechanics and instructors. For the drivers, the continuity of karting to single-seaters allows us to support the most promising talents to the top of the pyramid. I'm counting on their motivation and seriousness to build the solid foundations of their future in motorsport, as drivers like Pierre Gasly have done before, who today embodies the greatest French hopes in Formula 1, as well as Anthoine Hubert, Giuliano Alesi and Victor Martins who continue their ascent. I encourage all members of 2019 initiatives to redouble their efforts to make the most of the teaching provided by the FFSA Academy teams." The young drivers, aged between 12 and 20, then dedicated themselves to their official tests. The 20 kart racers spent several hours on the International Karting Circuit of Le Mans to tame their Exprit / Vortex karts while the Academicians entered for F4 prepared for their next session on the Bugatti Circuit at the wheel of the famous FIA F4 Mygale / Renault. The "Girls on Track Karting Challenge", an FIA European programme for young women supported by the European Union’s Erasmus + project, was held in early March on the Le Mans Karting International Circuit. Six drivers were selected from the 27 finalists from the 1200 participants from nine countries. moges, for a dual purpose of training and evaluation. Social skills, education and communication were the starting point for the first day. The second day was devoted to physical and mental preparation for the drivers. Finally, it was time to take the wheel of the OKJunior karts of the FFSA Academy on the track of Le Mans. After identifying lines, braking points and acceleration zones, the candidates were encouraged to use full throttle. Milja Kukkonen (FIN), Nina Pothof (NLD), Michalina Sabaj (POL), Matilde Fidalgo (PRT), Anna Glaerum (SWE) and Maja Hallén Fellenius (SWE) were finally selected to join the Girls on European Track Team. Thanks to the support of the FIA, they will participate in two training camps this year where the sporting and educational programme will develop the potential of their careers in motorsport. Find the full article in the FIA​​ magazine special dedicated to Women in Motor Sport. This year the BNL Karting Series had the good idea to add the international OK and OK-Junior categories to its three-race calendar. The first event took place on 23rd and 24th March at the Genk circuit (BEL) with 16 OK drivers. Franck Chappard, at the wheel of his Redspeed / IAME prepared by VDK Racing, completed a most convincing event two months before the FIA Karting European Championship round. he Kartland driver, who was in 3rd and 5th position in the two timed sessions, was on the offensive during the four races on the programme. He took two brilliant victories on Saturday. Up from 3rd to 1st position on the lap 6 of Final 1, he achieved the fastest lap and won with a 2.4'' lead over his young team-mate Evann Mallet (Redspeed / IAME). He was alone at the front of Final 2 and finished 3.6'' ahead of Nicolas Picot. On Sunday, Final 3 was more complicated. 8th after the start, Franck was 5th on the line. He made up for it beautifully in the last race and added a third victory to his wins of the weekend. On aggregate points, Franck took the lead with 86 points, ahead of Mallet (64) and Picot (61). REGISTRATION FOR THE 2019 FIA ​​KARTING EUROPEAN CHAMPIONSHIP KZ / KZ2 Entries for the 2019 FIA ​​Karting European Championships - KZ and KZ2 will close on 27th March. An additional period, at a rate increased by €1560, nevertheless allows registration until Wednesday, 3rd April. To do this, go to www.cikfia.com. Always on the lookout for new projects to boost the participation of young people in kart racing, Kartagene offers a complete package in collaboration with the Wintec team for the 2019 24 Hours, organised at Le Mans on 29th and 30th September. Besnard’s Wintec team, a benchmark in the world of endurance karting, will ensure the technical part of the operation with the greatest competence as well support for the young people during the 24 Hours in contact with the Fren Champions of 2018. The programme is for GP Junior category open to 12-15 year olds. In the KEA, Kartagene and Wintec take care of almost everything, from the preparation of the drivers, to the supply of equipment and all the logistics of the 24 Hours. rior to the event, two three-day full-board courses at Salbris during the summer are planned to address all aspects of endurance, most of which are relevant to driver training for kart racing in general. Physical and mental skills occupy a prominent place in this framework with specific activities to improve race management and energy in extreme circumstances. Several sessions on the international circuit of Salbris are of course scheduled, including training to learn to start an OK-Junior, which is never useless. hortly before the 24 Hours, the drivers will be able to learn the Le Mans circuit during a day of testing and to apply their newly acquired experience in as close as possible to race conditions. he services offered by Kartagene offer the greatest peace of mind to drivers and their supporters. The formula is both bespoke and turnkey. Kartagene even offers photo and video coverage of the two days of racing from the KSP agency along with a full follow-up on the Kartcom website in order to promote the competition to their partners. Entries, provision of GP-Junior equipment, technical assistance provided by Wintec, tyres, fuel, coaching, physiotherapy, accommodation and catering for drivers and mechanics, as well as customised race suits are included in the KEA package. TO BE ORDERED ON THE FIA WEBSTORE The 2018 FIA Karting Best Of is a FIA official publication which comes out at the end of the year. It presents the highlights of the Karting season, a summary of all the 2018 FIA Karting Championships, features on each 2018 FIA Karting Champions, a portfolio, some interviews and historical data and the detailed results of all the 2018 FIA Karting Championships. 148 pages, 30x30 format, bilingual edition English/French - €63,30 Free shipping for the first 100 orders ! Go for it! To be ordered on FIA Webstore. After three years of developing the FIA ​​Karting Endurance Championship, the Automobile Club de l'Ouest has looked for other categories to compete in the 2019 24 Hours Karting to increase the appeal of the classic Grand Prix at Le Mans for all endurance enthusiasts. he victory of the Sodikart factory in 2018 has definitively established the reputation of the FIA ​​Karting Endurance Championship, which has been a one-off event within in the Le Mans 24 Hours Karting since its creation in 2016. The work of promoting the event continues in encouraging other factory teams to take up the challenge. For this 34th edition which will take place at Le Mans from 27th to 29th September, 2019, the karts in the GP1 category will for the first time use MG tyres, the brand that has won the FIA ​​call for tenders for endurance karting. in order to clearly target Junior drivers from 12 to 15 years old who can use OK-Junior, Rotax Junior or X30 Junior engines. The success of the experiment tried last year by the Wintec Kartagene team with its young drivers and an OK-J engine motivated this new direction. from 160 to 165 kg. The goal is to equalise the chances of the majority of the field. Master crews, who are the most numerous in this group, will be penalised less by their weight in their fight for victory. The sporting clashes on the track will only be more intense. Six months before the start of the 34th edition of the 24 Hours Karting on Saturday, 28th September at the Le Mans Karting International Circuit, the ACO has already set the course for the world's biggest endurance event so that every enthusiast can find their place in this legendary event. ll OK and OK-Junior drivers participating in these WSK Euro Series races will also compete for the Italian Championship. The first two meetings of the 2019 French Junior Championship have already confirmed that the decision to compete in a second season with the FFSA Academy was the right one. Now that he is installed at Le Mans, Noah Andy takes full advantage of his integration with the FFSA's Pole France. His progress can already be seen on the track as he scored his first points in the Championship at the opening race at Le Mans. he second meeting at Angerville allowed the young Reunionese driver to continue his momentum by taking an interesting 13th position in the Final. He gained one more place in the provisional ranking where he now points to 17th. But it is above all the confidence he feels after these encouraging results that should allow him to calmly continue his progress. In any case, morale is good and training starts again with new motivation. Enzo Scionti has not been free of setbacks at the start of the 2019 season. No race has taken place so far without incident, whether crashes, retirements or penalties. The official CRG driver who races with the Keijzer Racing team, however, has shown unusual courage in the face of adversity. He relies on a justified trust in his talent to seize the slightest opportunity to show his speed when making very convincing comebacks. n the last weekend of March, Enzo participated in the first round of the WSK Euro Series at the Sarno circuit. Fast during Free Practice, he was 10th in his session just before Qualifying where he was 48th. Unfortunately, he had to retire in his first Qualifying Heat, then was penalised for his spoiler. He was then able to improve his score in the last two. In a Prefinal without trouble, he regained another ten places and qualified for the Final. Delayed by a collision between several drivers on the first lap, Enzo was struggling once again to return to 27th position. As he has been throughout this complicated start to the season, Enzo was far from getting a result in Sarno that matched his potential. But there is no reason that his remarkable perseverance will not soon be rewarded at the level of his true potential. The upcoming FIA Karting European Championship - OK-Junior will provide the opportunity to achieve more ambitious goals. TEST DAYS IN LE MANS FOR THE EUROPEAN CHAMPIONSHIP In preparation for the FIA Karting European Championships which will take place in Le Mans, 20 & 21 July 2019, the circuit Le Mans Karting international organizes Official Tests on 29/30 april and 1st May 2019 exclusively reserved for OK and OK-Junior categories. BATTLE TO THE FLAG AT LE CASTELLET The 12th edition of the French University Karting Championship, organised jointly by the FFSA and the French Federation of University Sports, took place on 4th April, 2019 in the South of France on the Paul Ricard kart track. In mild but cool weather, 22 teams of three students clashed up to the finish before the crowning of No. 10 ENI Metz. elected at the regional qualifications organised by the FFSU, 22 teams of three drivers from eight institutions discovered the Sodi karts at Paul Ricard. The southern circuit offered a particularly suitable setting for this national student confrontation. Safe and fast enough, the 964-metre-long layout offers a series of curves and technical corners that allow talent to make a difference. After the optional Free Practice, the official Timed Session opened the competition. Excellia Poitiers quickly took control, first under the bar of a minute after a few laps. The team from Lorraine University - ENI Metz then took the lead before being exceeded in the last five minutes by the Association Leonard de Vinci 1, who took pole position with 59''481, and ESCE Paris 1 who were ranked 2nd by eight thousandths from ENI Metz. Excellia Poitiers took 4th place in under a minute, followed by NEOMA BS Reims 2. Penalties were however applied to teams staying in the pits for less than 30'' for driver changes, as stipulated in the rules. The break was not long before the 22 teams settled on the starting grid for the decisive race of 90 minutes. The first laps saw ESCE Paris 1 take the lead against ENI Metz and Excellia Poitiers. But the hierarchy was changing quickly from the first pit stops, strategic or required. At that stage, ECE Paris 1 was 2nd 36'' from ESCE Paris 1 after half an hour of racing and the top five were circulating in the same lap. In mid-race, it was Excellia Poitiers who led ESCE Paris 1 and ENI Metz, all of whom were using different strategies. The gaps remained small in the top four, while eight teams remained grouped in the same lap. ENI Metz was soon back in front of ESCE Paris 2 and Leonard de Vinci 2. The final sprint was started with about 20 minutes to the finish with ESCE Paris 1 and Leonard de Vinci 1 elbow to elbow to only 8'' from the leader ENI Metz. In 4th position, Excellia Poitiers stopped in the pits, but did not lose any places, with their direct pursuers, Leonard de Vinci 2 and NEOMA Reims 1 also stopping shortly thereafter. Leonardo da Vinci 1 continued to push and took 2nd in front of ESCE Paris 1 who remained in their wake, and they both returned to 6'' from the leader. The fight continued to rage as ESCE Paris 1 took 2nd place 7' from the finish and the gap with ENI Metz went to under 5''. Feeling the threat getting closer, ENI Metz accelerated in the final minutes. The duel continued for 2nd place with a further change of position in favour of Leonard de Vinci 1, an offensive strategy that probably prevented them from fighting for victory. ENI Metz finally won a well-contested race 2.6'' ahead of Leonard de Vinci 1 and ESCE Paris 1. Further back, Excellia Poitiers took 4th place in front of a duel, with ECE Paris 1 and NEOMA Reims 1 well back to within 8 hundredths from their opponent. The performance of the Lille Droit 2 team deserved to be highlighted as it included a disabled driver Christian Malengele, supported by the KLL Loisir de Douvrain structure, alongside two other drivers, Glenn Marre and Marin Occelli. Michel Guignard, President of the National Karting Commission of the FFSA and Philippe Gars, FFSU Director of the South Provence Alpes Cote d'Azur, welcomed the smooth running of the competition and the sportsmanship of the competitors while promising to develop excellent collaboration between the two federations for the greatest enjoyment of the students passionate about karting. BRP-Rotax is proud to announce the top three distributors of 2018. The programme for this annual award recognises the efforts made by its distributors in sales related to their operational excellence that contribute to strengthening BRP-Rotax's marketing in their respective regions around the world. CONGRATULATIONS TO THE WINNERS OF THIS ANNUAL AWARDS PROGRAMME! "We use a variety of standardised metrics to reward the best distributors in the past year," said Peter Oelsinger, managing director of BRP-Rotax. "The three winners are long-standing business partners of BRP-Rotax and we are happy to honour their efforts," he continued. All Rotax karting dealers have shown great determination throughout the year to achieve their goals. 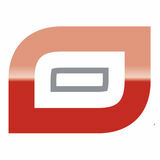 The best assessment of their work however remains the positive feedback of satisfied customers. In recent years, Rotax karting distributors have accumulated extensive experience in supporting and promoting Rotax's business with exceptional marketing activities in their local markets and beyond. Strong partners allow the company to improve its business. With 43 authorised dealers and a network of more than 600 service centres and dealers, BRP-Rotax supports its customers worldwide. The awards ceremony was held with representatives of Sodikart and Kart Baltic at the BRP-Rotax factory in Gunskirchen, Austria, in the absence of winner JAG, who were unable to attend because of their very busy calendar of races. BRP-Rotax has awarded the winner's prize directly at the first round of the UK Karting Championship. MICK PANIGADA ENERGY CORSE IS CONSTANTLY LOOKING TO THE FUTURE A top level kart driver, founder and owner of the Energy Corse team, Mick Panigada has racing in his blood and victory as a constant goal. Over time, he has become increasingly involved in training young drivers without neglecting the performance of his team. Since 2013, Energy Corse has forged serious collaborations with F1 teams to support the careers of tomorrow's talent. came to Europe with us in 2014 and he also signed with Lotus. These two drivers are currently in F2. The current trend is to decrease the age of drivers. How is this working for Energy Corse? - We followed the movement with some success as our 60 Mini karts are very efficient. Last year we had the chance to collaborate with the Mercedes AMG F1 Team with Andrea Kimi Antonelli, a great champion. This season, our star driver comes from the Caribbean: the Jamaican prodigy Alex Powell. As with Antonelli, we invest in his training and he is also successful. Powell has also been noticed by Mercedes AMG F1! We have also recruited a young driver from Rotax, the Dutchman Robert De Haan. If you follow racing, you can see for yourself that he is progressing fast in OK-Junior. But its large stature does not help him! This is the new star driver we are training. With ten titles in the European Championship and a winner of the KZ2 International Super Cup, Energy Corse has won many successes around the world. Its quest for victory, however, seems far from being dampened, as evidenced by the infectious enthusiasm of Mick Panigada. The presence of Luigina and Simone in the team has strengthened its technical and personal control in recent years. The current staff of Energy Corse are therefore particularly competent to train the next generation of young drivers and accompany them further in their careers. orenzo Camplese (Tony Kart / Vortex) impressed with his pole position and his consistency in the top three before retiring with a mechanical problem at the beginning of the Final. Marco Ardigo (Tony Kart / Vortex) confirmed the form of the Greens by dominating the heats and his Prefinal. Bas Lammers (Sodi / TM) made a superb return from 10th to 5th place in the other Prefinal before returning inexorably to his rivals in the Final to clinch a magnificent victory against Ardigo and Matteo Vigano (Tony Kart / Vortex). Delayed by a retirement in a heat, Adrien Renaudin (Sodi / TM) was finally back in 4th position and 5 hundredths off the podium. Simo Puhakka (Tony Kart / Vortex) completed the top five in front of Marijn Kremers (Birel ART / TM), then Emilien Denner (Sodi / TM) 7th and Anthony Abbasse (Sodi / TM) 8th. In 13th place, Yannick De Brabander (Intrepid / TM) concluded with a gain of 21 positions. he Briton Dexter Patterson (KR / IAME) was literally unbeatable at Sarno. From Qualifying until the Final, nothing stopped him, giving him 1st place in the WSK Super Master Series. Dino Beganovic (Tony Kart / Vortex) and Dilano Van T'Hoff (Exprit / TM) followed him in Qualifying, but Taylor Barnard (KR / IAME) and Gabriel Bortoleto (CRG / Iame) took over in the top three of the heats and then the Final. Juho Valtanen (Kosmic / IAME) confirmed the speed displayed at La Conca in 4th place while Beganovic finally returned to the top five by getting the better of Travisanutto. Sami Meguetounif (Tony Kart / Vortex) had to give up again in the Final. ukka Taponen (Kosmic / IAME) showed off to start on pole position and then Laurens Van Hoepen (FA Kart / Vortex) took the lead. But Artem Severiukhin (Tony Kart / Vortex) followed him closely, and the two drivers, each having won their Prefinal, clashed in the Final. Severiukhin won while Van Hoepen battled Jamie Day (Exprit / Vortex), 2nd on the finish line, but penalised in 6th position. Newcomer William Siverholm (Tony Kart / Vortex) was 3rd on the podium against James Wharton (FA Kart / Vortex) and Marcus Amand (KR / IAME). In technical difficulty during his Prefinal, Andrea Kimi Antonelli (KR / IAME) did not qualify for the Final, which did not prevent him from winning the series. fter the pole position of William MacIntyre (Parolin / TM), a driver to follow, the favourite Rashid Al Dhaheri (Parolin / TM) took control of the category and never left it, except for a 3rd place in Prefinal A. The Emirati continued his early season lead to win the Final ahead of Maciej Gladysz (Parolin / TM) to win the overall standings. Andrea Filaferro (Tony Kart / TM), 29th at the end of the heats, had a very good podium, ahead of Alex Powell (Energy / TM) in 6th and Ean Eyckmans (Parolin / TM) in 13th. Guillaume Bouzar (IPKarting / TM) finally took an interesting 24th position while Jimmy Helias (Tony Kart / Vortex) finished 31st. he Neapolitan weekend, however, was punctuated by numerous racing incidents and retirements that changed the hierarchy, as the scale of points reached its maximum for the last round of the WSK Super Master Series. The weather remained sunny throughout the meeting with temperatures warm for the time of year. time and then took part in an intense fight to finish 2nd in the Final. This remarkable performance allowed him to make a spectacular jump to 5th overall. James Wharton was another great performer of the weekend with his two heat wins (with a fastest lap). He continued in 2nd place in his Prefinal and fought for the Final victory before finishing in 4th position. James moved up to 9th place in the Championship. Far from the front in Qualifying, Christian Ho gained 24 places during the heats. The Singapore driver drove a very good Final in the top 10 and set the fastest lap in the race before dropping back to 18th due to a spoiler penalty. 10th at the end of the heats and 5th in the Prefinal, Conrad Laursen was caught in the Final battle and dropped from 7th to 30th place. The other two Junior RFM drivers had to retire in the Prefinal. Up to 3rd after the heats, Thomas Ten Brinke dropped out on the third lap of his Prefinal in an incident. Deprived of the Final, his previous performance allowed him to finish 4th overall despite everything. After very good heats, Ugo Ugochukwu was forced to retire after a collision on the first lap of his Prefinal. The two OK drivers in the British team enjoyed various fortunes at Sarno. A long way back in Qualifying, Harry Thompson returned to 12th place in the Qualifying Heats. He was fighting in the top three of his Prefinal before finishing 7th and falling back on the first lap of the Final. He still bravely regained 10 places finishing 15th. Caught in a clash shortly after the start of the Final, Kai Askey did not complete a lap. The meters will be set to zero next weekend for the opening of the WSK Euro Series which will take place at the same circuit of Sarno. his 7th Final position behind the professionals from KZ, while Jean Nomblot continued his progression close to the top 10. The competition continues at Sarno as the first event of the WSK Euro Series will take place on the Neapolitan circuit next weekend. This will be the occasion to prepare for the decisive meeting of the FIA ​​Karting European Championship - KZ that will conclude at the foot of Vesuvius in mid-June.no puisque la première épreuve de la WSK Euro Series se déroulera sur le circuit napolitain dès le weekend prochain. Ce sera l’occasion de préparer le rendez-vous décisif du Championnat d’Europe FIA Karting – KZ qui se conclura au pied du Vésuve à la mi-juin. you can quickly win a place, but also lose three or four at a time." n Timed Practice, Alex Powell was unable to achieve the expected performance and settled for 20th place, which forced him to keep pushing throughout the meeting. Despite a clear run in the Qualifying Heats, Alex gained only two places in the provisional standings. He continued his efforts in his Prefinal and managed a remarkable comeback from 9th to 4th place, with brilliant lap times. In the Final, Alex Powell again made an excellent and incisive start. He was on track to conquer the podium, but came up against a very turbulent pack, in which positions changed constantly over the laps. Finally, he crossed the finish line in 6th position after starting 7th. The Jamaican was better off, especially as he was only a point away from the title of Vice-Champion in 60 Mini. Alex has still made a bright start to the season, with two wins and podium at in the 2019 WSK Super Master Series on his brilliant Energy Corse-TM. WIN AND TITLE IN 60 MINI AT SARNO The first international championship of the year, the WSK Super Master Series, ended at Sarno with a superb victory for Rashid Al Dhaheri in 60 Mini, which also enabled Parolin to win the general classification. Although not a surprise considering the performance level of the Parolin chassis, this result is a pleasant reward for the Italian factory. e are extremely pleased with our 60 Mini win, confirming our tradition of success that has lasted for three consecutive years," commented Marco Parolin. "We won this title in 2017 with Gabriele Minì, last year with Martinius Stenshorne and this season with Rashid Al Dhaheri. This is something we are proud of, especially because the level of competition in the Mini category continues to increase. We confirm our high standard as a team, and of course as a chassis manufacturer. In the other two categories, we worked hard this weekend to improve in the difficult conditions at Sarno, preparing for the next challenge, the WSK Euro Series." Because of the importance of slipstreaming on the long Neapolitan circuit, Qualifying Practices were not always easy to manage for the very young drivers in 60 Mini. Keanu Al Azhari and Giovanni Trentin, however, managed to achieve the 2nd and 3rd fastest times among the 87 participants, while Rashid Al Dhaheri was 15th. The latter however completed exemplary runs and returned to the front of the competition on Saturday night. Starting from 6th in the Final, Al Dhaheri took the lead from the second lap and brilliantly controlled his opponents until the finish. He took the lead in the standings of the series and earned a well-deserved crown. Also very fast, Giovanni Trentin achieved his best result by entering the top 10 in the Final. Victim of a racing incident at the start of his Prefinal, Al Azhari unfortunately could not defend his chances in the Final. It was also a Prefinal accident that delayed Gabriele Mini's progress in OK. However, he managed to qualify 30th in the Final and a festival of overtaking allowed him to return to 8th position at the finish line. This remarkable effort allowed him to save his place in the top five overall of the WSK Super Master Series. Although he had to overcome his 30th place in the OK-Junior Timed Practice, Brando Badoer did a great job moving up to 7th in the Final before finishing 11th. Martinius Stenshorne fell to the back of the pack during a clash on the second lap of the Final, which prevented him from enjoying his potential as much as he deserved. After an exceptional start to the season, Parolin is preparing to start the WSK Euro Series next weekend which will take place on the same circuit of Sarno. The goal is clear: to work even harder with the young drivers of the team to improve the results they are able to achieve with the high-performance equipment from Parolin. In Sarno, the last event of the WSK Super Master Series confirmed the high level of performance of several drivers of the Birel ART Racing Team. Kremers' 4th place overall in the KZ2 series allowed him to calmly contemplate the rest of the international season, while the potential was there in OK with Coluccio and in OKJunior with Camara. in the Final fights, Alex Irlando and Alexander Dahlberg had time to convince. Irlando finished 6th in the Prefinal and finished the series in the top 10, while Dahlberg was more motivated than ever. Leonardo Marseglia proved his determination with a very encouraging 12-place finish in the Final. Marijn Kremers was still fighting once again among the best. Back in 6th place in the Final, he finished 4th in the championship. For a long time Luigi Coluccio was at the front of the OK category with interesting consistency. 5th in Qualifying and 4th after the heats, he began by taking control of his Prefinal before being forced to drop back. A retirement on the second lap of the Final deprived him of a result consistent with his competitiveness and he had to settle for 11th position overall. For his first experience in OK, Thomas Nepveu had the joy of qualifying for the Final and returning to 21st despite a penalty. Despite many setbacks, Rafael Camara finished the WSK Super Master Series in the top 10 of the OK-Junior category, while Cristian Bertucca was a serious prospect in the 1214 age group race after race. Selected and supported by the Richard Mille Young Talent Academy, Maya Weug confirmed her progress in OK. Delayed by a retirement in a heat, she ensured a gain of eight places in the Final to reach 11th position. It was more complicated this time in OK-Junior for Julia Ayoub is learning about top-level European competition with determination. After the strong lessons of this meeting, the Birel ART team remained in Sarno to participate at the opening of the WSK Euro Series at the Neapolitan circuit next weekend. lex Powell (Energy / TM) was fastest in the standings ahead of Keanu Al Azhari (Parolin / TM) and Kirill Kustkov (Energy / TM). Al Azhari took the lead from Douwe De Decker (Parolin / TM) who won his Prefinal before falling in the Final. 15th in the heats after a retirement, William MacIntyre (Parolin / TM) returned to 1st place in Prefinal A and won a Final for the first time against Powell and Andrea Filaferro (Tony Kart / TM), while Aleksandr Tibekin (DR / TM) confirmed his great performances in 4th position and Luis James Egozi (Tony Kart / Vortex) was back in the top five. Loris ClÃ©ricy (Parolin / TM) finished 12th, Maxens Verbrugge (Parolin / TM) 18th, Louis Iglesias (IPKarting / LKE) 22nd, Jimmy Helias (Tony Kart / Vortex) 24th and Guillaume Bouzar (IPKarting / TM) 27th. t the foot of Vesuvius Nikita Bedrin (Tony Kart / Vortex) had his best meeting of the year. Poleman, leader of the heats and winner of his Prefinal, the young Russian won the Final with a good lead. Conrad Laursen (FA Kart / Vortex), 2nd after the heats, crashed with his team-mate Christian Ho (FA Kart / Vortex) in the Prefinal. Still 19th after the heats, Thomas Ten Brinke (FA Kart / Vortex) finished strongly in 2nd position of the Final, Jamie Day (Exprit / Vortex) took the 3rd place followed by Robert De Haan (Energy / TM) and Alfio Spina ( KR / IAME), starting from 58th in Qualifying. Andrea Kimi Antonelli (KR / IAME) finished 11th, Marcus Amand (KR / IAME) 12th, Lola Lovinfosse (Tony Kart / IAME) 14th (+15 places) and Evan Giltaire (Sodi / TM) 20th (+11 places). exter Patterson (KR / IAME) was delayed by a retirement in Heat 1 after his pole position. He returned to 6th in the Prefinal but gave up in the Final. Dilano Van T'Hoff (Exprit / TM) was 2nd in the Prefinal, but he also had to retire in the Final. 2nd on the clock and in the heats, Dino Beganovic (Tony Kart / Vortex) won two clear victories in the Finals. Luigi Coluccio (BirelART / TM) was on the second step of the podium followed by Nikolas Pirttilahti (KR / IAME) who suffered several incidents during the weekend. Harry Thompson (FA Kart / Vortex), Kirill Smal (Tony Kart / Vortex) and Lorenzo Travisanutto (KR / IAME) crashed violently towards the finish. Joseph Turney (Tony Kart / Vortex) and Joshua Dufek (KR / IAME) completed the top five. gain in the lead, from Qualifying to the end of the heats, Lorenzo Camplese (Tony Kart / Vortex) retired in the Prefinal. Riccardo Longhi (BirelART / TM) and Anthony Abbasse (Sodi / TM) won the Prefinals, but Simo Puhakka (Tony Kart / Vortex) broke into the first lap of the Final and took the lead. Starting from the 3rd row, Bas Lammers (Sodi / TM) one by one overtook his opponents and finished the race 5 hundredths from the winner with the fastest lap in the race, while Abbasse joined him on the podium. Marco Ardigo (Tony Kart / Vortex) and Longhi completed the top five. With the 2nd fastest time, Adrien Renaudin (Sodi / TM) finished 8th, while Jean Nomblot (Sodi / TM) for the first time managed to enter the top 10 in front of Jérémy Iglesias (Formula K / IAME). Emilien Denner (Sodi / TM) was 13th and Pierre Loubère (BirelART / TM) 21st. VERBRUGGE: FINAL SPRINT SUCCESS AT SARNO Making his debut in international 60 Mini at the beginning of the year, Maxens Verbrugge (Parolin / TM) has had to deal with the vagaries racing more often than not. At the first meeting of the WSK Euro Series at Sarno, a ray of sunshine illuminated his career as he qualified for the Final and managed a strong recovery of 10 places. fast times because you have to take the slipstreaming into account and you cannot make a mistake if you want to enjoy the best of the tyres. I'm doing better in racing. My heats were not bad at all, but there was the penalty. I still managed to qualify and I continued to attack in the Final. It is a result that is good for morale!" Maxens will soon return to French soil for the second round of the WSK Euro Series at Angerville at the end of April. in the top five and fell permanently out of the qualifying list. Ten Brinke and Ugochukwu faced off for 3rd place at the start of the Final. Ten Brinke then made the difference against his young team-mate and climbed to 2nd place while Ugo was 6th. Wharton and Van Hoepen collided on the first lap of the race. Wharton moved up from 20th to 8th, but was penalised down to 15th, but Van Hoepen gave up. In the provisional ranking of the WSK Euro Series, Ten Brinke is in 3rd place, Wharton 4th and Ugochukwu 6th. After slightly disappointing Timed Practice, the two OK drivers from RFM returned to 11th at the end of the heats for Kai Askey and 13th for Harry Thompson, penalised for his unhooked spoiler. They improved their positions in the Prefinal, respectively taking 8th and 9th. Thompson was back to 5th place in the Final when he was caught in an accident on lap 14 and had to retire. Askey crossed the finish line in 8th place, but was ranked 17th after a spoiler penalty. Ricky Flynn Motorsport will now prepare for the European Championship which will start in three weeks at Angerville (FRA, by taking part in the French OK Championship and the French Cup for OK-Junior on April 6th and 7th at the same circuit. DOUBLE PODIUM AT THE OPENING OF THE WSK EURO SERIES A week after Bas Lammers' crowning in the WSK Super Master Series, Sodi drivers once again shone on the Sarno circuit for the first round of the WSK Euro Series. Bas Lammers and Anthony Abbasse confirmed the performance of the French chassis by both mounting the Final podium after tough battles. With four Sodi in the top 10, the French brand achieved the best team score. to maintain our advantageous position. The Sodi 2019 chassis is a really excellent basis," said Julien Dexmier, the team manager. "Motivated as ever after his win last week, Bas fought like a lion to return to 2nd in the Final, while Anthony fulfilled his mission by climbing on the third step of the podium. It was a little more difficult this time for Adrien, but his 2nd fastest time confirms his speed. Finally, I would like to salute the work of the CPB Sport satellite team which enabled Jean Nomblot to finish in the top 10 for the first time." et Bas Lammers' course was simple. 15th of the Timed Practice, he was delayed by an abandonment in his last heat. Holder of three fastest laps in the race this weekend, including that of the final, Bas gained five places in the Prefinal and drove a magic Final to finish 2nd, only 51 thousandths of a second from the winner: the victory was not far away! hanks to the fastest time in his session, Adrien Renaudin finished 2nd in the 13lap test in pole position in front of most of the KZ2 professionals. He had to deal with some problems in a heat and then in the Prefinal before returning to 8th position in the Final, which allowed him to stay in touch in the top 10 of the standings. With the Trefle Racing Junior team, the factory OK-Junior driver Evan Giltaire recorded a noticeable improvement in his performances by qualifying for the Final. He made a gain of 11 places and finished in the top 20. One to watch! A major event of the season, the FIAâ&#x20AC;&#x2039;â&#x20AC;&#x2039; Karting European Championship - KZ is Sodi Racing Team's next goal in early May in Wackersdorf, Germany. nthony Abbasse delivered a solid performance that allows him to hold 2nd place in the provisional ranking of the Euro Series. 2nd at the end of the heats, before clinching a good victory in the Prefinal, he ensured the 3rd place finish with intelligence. he previous Sunday, Alex Powell had left the Sarno circuit with unfinished business. While the WSK Super Master Series ended with a conclusive 3rd place in the overall standings, the Jamaican driver missed 2nd place by just a point because of a last Final that was less punchy than he had hoped. For the second race in a row on the fast Italian track, Powell had only one objective: to get back to the podium as quickly as possible. The Jamaican started the Qualifying session with motivation increased tenfold, after which he set the absolute fastest time with an almost perfect lap, at an average speed of 83 km / h! In the heats, Alex limited risk-taking, while being effective: 1st (with the lap record), 2nd, 3rd and only 6th because of an engine problem and therefore 3rd overall. On Sunday, he began his day with a 2nd position in the Prefinal, before being locked out at the very beginning of the Final. fter finishing the first lap of the Final in 6th place, Alex did not have an easy job. But he quickly returned to attack his opponents, with successive fastest laps like a metronome," said Mick Panigada, head of the Energy Corse team. "He really drove brilliantly, making the most of his Energy Corse-TM kart prepared with care by our technical team." After perfectly controlled overtaking, Powell took the chequered flag in 2nd position. "The WSK Euro Series is decided over four events and it was important to score big points right away if I want a chance to win the title," said Alex. "I am very happy with this podium, where I proudly wore the colours of my country, my federation and of course the Energy Corse team. A big thank you to all those who support me." Next goal for Alex Powell: the famous Andrea Margutti Trophy, which will celebrate its 30th anniversary on the circuit of Lonato on April 5th -7th 2019.
brand ultimately placed six drivers in the top 10 of the provisional ranking of the WSK Euro Series, including the leader. INTERNATIONAL ting heats. He recovered and reached the Final thanks to a remarkable nineplace rise to 11th in his Prefinal. The young Brazilian continued his momentum by finishing 18th with a gain of four positions, his best result of the season. After an incredible dark series during the four heats in which he only crossed the finish line once, Jesse Carrasquero missed his qualification by less than 2 tenths of a second after a superb progression of 11 places which showed good potential for the upcoming events. back of the grid to take 12 places in the second heat. Things were not so good in the last heat as he was 26th after a penalty. The Sicilian regained control in the Prefinal, 17th with a gain of nine places, then in the Final where he finished in an unexpected 6th place after a further progression of 11 positions. The next important event in OK and OK-Junior will take place in France, at the Angerville circuit for the first meeting of the FIA​​ Karting European Championship from 19th to 21st April. he aim of this race was to finalise the preparation for the KZ1 and KZ2 FIA Karting European Championship, which will be held at Sarno on 16th June," explained Ronni Sala, President of Birel ART Group. "With five drivers involved, the team was able to do a very good job with the equipment and performance has progressed well. Longhi, Kremers and Irlando kept up a very good pace, while Marseglia and Loubère gained solid experience. We are also very pleased to have enabled Coluccio to fight for victory in OK within a month of the first meeting of the FIA ​​Karting European Championship." ne week after the last event of the WSK Super Master Series, Team Birel ART Racing remained at Sarno for the start of the WSK Euro Series. Luigi Coluccio quickly joined the top three in the OK category in the heats and during the Prefinal. He again increased the pace in the Final and managed to take a very nice 2nd place among a top-class international field. During this time, Thomas Nepveu solidified his progress by moving up to 16th position in the Final before being penalised. lex Irlando made an excellent start to the meeting by taking 4th in Timed Practice, 3rd at the end of the heats and 2nd in his Prefinal. The start of the Final was not favourable for him and he had to settle for 12th position at the finish, but his overall performance was enough to enter the top five of the Euro Series. Marijn Kremers kept on climbing from his 16th in Qualifying. Back to 5th in his Prefinal, he was still gaining ground in the Final with an interesting 7th place. The best performance came from Riccardo Longhi on his first international event of the season. After 5th in the heats, he won his Prefinal with the fastest lap in the race. Riccardo then fought in the top five of a very competitive Final and eventually finishing 3rd in the WSK Euro Series standings. The young Leonardo Marseglia confirmed his progress in his first year in KZ2. He finished 15th in the Final despite a difficult start to the race. French Champion of 2017 and 7th in the European Championship in 2018, Pierre Loubère contested his first race with the Birel ART team. Increasingly confident in his kart, he finished 21st. The FIA ​​Karting European Championship - OK and OK-Junior will start at the end of April in Angerville (FRA) while that of KZ and KZ2 will start at the beginning of May in Wackersdorf (DEU). oleman, winner of every heat and the Prefinal, Freddie Slater of Britain (KR / IAME) also dominated the Final to take his first win of the year by beating Panamanian Sebastian NG (KR / IAME) and the Spaniard Lucas Fluxa (Praga / IAME). Leo Robinson (KR / IAME) led the way, but lost ground to finish 4th. Dutchman RenĂŠ Lammers (Parolin / IAME) concluded a good weekend in 5th position. In the overall standings, Slater leads with 89 points ahead of NG, on 84 points, and Robinson, 82 points. he Swedish driver Wigot Edqvist (OTK / IAME) set the fastest time, while Briton Josh Rowledge (Tony Kart / IAME) led the intermediate standings ahead of Joseph Taylor (Tony Kart / IAME) who won the Prefinal. The Final revealed a new winner with Canadian Jason Leung (Kosmic / IAME) ahead of his British teammate Oliver Bearman. The top ten was partially modified due to penalties. Marcus Luzio (FA Kart / IAME) took 3rd place ahead of Oliver Gray (FA Kart / IAME) and Freddie Spindlow (Kosmic / IAME). Herolind Nuredini (OTK / IAME) gained 25 places in 14 laps to finish 7th. In the standings, Leung leads with 85 points, against 84 for Bearman and 82 for Gray. oleman Lewis Gilbert (Kosmic / IAME) also won the Prefinal before leading the first lap of the Final. But Callum Bradshaw (Exprit / IAME) finally won against Niels Koolen (FA Kart / IAME). In the fight for 3rd place, Clayton Ravenscroft (Kosmic / IAME) and Joey Van Splunteren (KR / IAME) touched on the last lap and Mark Kimber (Tony Kart / IAME) recovered the third step of the podium in front of Van Splunteren and Gilbert. Penalised, the unfortunate Ravenscroft fell to 13th. In the standings, Bradshaw, on 87 points, is leading by only two points ahead of Koolen, followed by Gilbert, 3rd with 82 points. hilipp Seewer (Kosmic / IAME) won the Prefinal and the Final one after the other, while Thierry Delré (Mach1 / IAME) joined him on the podium after a meeting opening punctuated by technical problems. Poleman Kevin Lüdi (Kosmic / IAME) finally took 3rd place ahead of Dionisisis Liveris (Tony Kart / IAME) and Michel Biffiger (Kosmic / IAME). he young Frenchman from CPB Sport Emilien Denner (Sodikart / TM) has confirmed his great speed by winning the Final in front of another great talent, Giuseppe Palomba (Croc Promotions / TM), an excellent 2nd. William Lanzeni (Vemme / TM) also had a good race in 3rd position. Giuseppe Fusco (BirelArt / Vortex) and Jean Nomblot (Sodi / TM) completed the top five, while the multiple champion Davide ForĂ¨ (TK-TM) had to move up all weekend, from last place in Qualifying because a problem with his water pump. eonardo Bertini Colla (KR / IAME) took his first OK victory with the Team Driver Racing with great determination in a Final where he was unbeatable. In 2nd, David Liwinski (BirelArt / IAME) was his most serious rival. The podium was completed by the other driver from Team Driver, Leonardo Fornaroli, who finished 3rd ahead of his Spanish teammate Lorenzo Fluxa Cross (Tony Kart / IAME) and Cristian Comanducci (Tony Kart / IAME). heo Wernersson (Kosmic / TM), of the Finnish Koski Motorsport team, finally outclassed his countryman Samuli Mertsalm, poleman and leader of the heats. Another very fast driver, Mickey Magnussen (Tony Kart / Vortex) finished 3rd ahead of his RS Competition team-mate Marcus Skjellerup, leaving 5th place to Mathias Bjerre (FA Kart / TM) of the TK Racing team. inner of the Prefinal, Joel Bergstrom (Parolin / TM) took the Final advantage over Ean Eyckmans (Parolin / TM) at the very last corner, while Rashid Al Dhaheri (Parolin / TM) in 3rd, William MacIntyre (Parolin / TM), Alex Powell (Energy / TM) and Flavio Olivieri (KR / TM) were involved in the fight for a very competitive victory. ithin the framework of the IAME X30 Series Trophy, Edoardo Ludovico Villa (TB Kart / IAME) took control of X30 Senior from Qualifying to the Final. On the finish line, Villa was ahead of Danny Carenini (CRG) / IAME), while Leonardo Caglioni (KR / IAME), who had managed to take 3rd place, was relegated to 7th place with a spoiler penalty. The third step of the podium went to Vittorio Maria Russo (Tony Kart / IAME), the winner in 2017.
n the field of historic KFA karts dear to Luca Corberi, the Final victory for â&#x20AC;&#x153;pre-2000" karts went to Matteo Leonardi (PCR / Rotax) against Jonas Willadsen (PCR / PCR) and Augusto D'Antinone (CRG / Parilla ). The over 40's victory went to Alessandro Piccini (Tony Kart / IAME), who beat Tino Donadei (Top Kart / IAME) and Tina Jorgensen (Dino / Dino). ANDREA MARGUTTI TROPHY It was a perfect event for Emilien Denner (Sodi / TM) with the CPB Sport team at the South Garda Karting track in Lonato during the 30th edition of Andrea Margutti Trophy. The competition was tough with 67 drivers at the start. Accustomed to the Bridgestone tyres since the beginning of the year, he needed to adapt to the Vega, with rain tyres being used during Free Practice and slicks only on the track for Qualifying. victory. Start-to-finish leader and fastest on the track, he won masterly both in the Prefinal and in the Final, despite the pressure of very sharp opponents behind him. He thus joined the long list of champions who have won the famous Andrea Margutti Trophy since its creation and added a prestigious line to his CV. This first success for the CPB Sport team and Sodi at the Margutti was completed by a very convincing 5th place from Jean Nomblot (Sodi / TM) who confirmed his progress in international competition. DAVIDE FORÉ AT THE MARGUTTI Davide Foré was very happy to be back in competition as a driver with his new team at the 30th Andrea Margutti Trophy, held at the South Garda Karting track in Lonato from 4th to 7th April, 2019. For his debut at the wheel of a TK / TM entered by TK Racing, the 44-year-old Italian champion achieved a feat by climbing from 66th place in Qualifying to 7th place in the KZ2 category. ful kart. Taking an average of 20 places in each race, Davide made progress without making mistakes and had already reached 19th position on Saturday night. "I'm very happy to be driving a KZ2 in a race," said Davide. "At the first competition with TK Racing I showed that the equipment already had potential and that I was completely on the pace! Of course, starting from so far back in Qualifying is a severe handicap, but I had the opportunity to fight in the pack and achieve an unusual number of overtakes. I had a lot of fun! In these conditions, finishing 7th is a real success. Imagine what could have happened with a good time at the start... I'm looking forward to my next race! " He did not relax the pressure in the Finals on Sunday and continued his ascent. He finished 12th in the Prefinal and finished 7th in the Final, which gained him a record 59 places from qualifying. omeu Mello (Birel ART) was the dominator of the Iniciação category, leading both in Qualifying and in the Final. Guilherme Morgado (Parolin) was delayed by a penalty, while Xavier Lárazo (Birel ART) and Joana Lima (Birel ART) competed for the podium. Behind Mello, Lázaro climbed to 2nd place ahead of Morgado, Joana Lima and Vasco Moreria (Parolin) completing the top five. owever, it was Santiago Alves (Mad Croc) who led in Qualifying and in the heats on Saturday ahead of Noah Monteiro (Parolin), the son of Tiago Monteiro, and Tiago Lima (EKR). But Maria Germano returned to the front of the Final after first dropping to 3rd position. Santiago Alves secured 2nd place, ahead of Diogo Caetano (Birel ART), followed by Noah Monteiro and JoĂŁo Maria Gouveia (Praga). drián Malheiro (Praga) first set the fastest time before winning the first heat against José Pinheiro (Praga) and Manuel dos Santos (Parolin). Adrián Malheiro was again victorious in the Final, followed this time by João Miguel Oliveira (Tony Kart) who won the fight for 2nd place to the surprise of José Pinheiro who could not finish better than 3rd. Manuel dos Santos and Pedro Carvalho (Tony Kart) were in the top five. t the wheel of a Kart Republic from the Cabo Júnior Team, Luis Alves was unbeatable throughout the weekend in Junior. He was the fastest in Qualifying before winning both heats. Alves also triumphed in the Final as the battle raged behind him. Ivan Domingues (Mad Croc) was 2nd on the podium, while Henry Cruz (Kart Republic) finished 3rd, followed by his team-mate Lourenço Marques (Kart Republic) and Miguel Silva (Praga). ariana Machado (Praga) left no chance for her opponents. She was ahead all the time from the heats to the Final. Zdenek Chovanec (Exprit) came back to 2nd place ahead of the Spaniard รlvaro Garcia (Tony Kart), while Tomรกs Caixeirinho (Kart Republic) and Guilherme de Oliveira (Tony Kart) finished in the top five. iago Teixeira (Birel ART) was nevertheless the favourite after his pole position and a victory in a heat on Saturday. Hugo Marreiros (DR) nevertheless managed to win on Sunday after a very close Final with Texeira who had to settle for 2nd place. Marreiros won the Master category, while Teixeira was 1st in Senior. Rodrigo Ferreira (Praga) finished 3rd in the race and 2nd Senior, followed by Rita Teixeira (Kart Republic) in 3rd in Senior and Ricardo Borges (Kart Republic). Arthur Rogeon took the first pole position of the season, with 16 drivers within less than 8 tenths of a second. Esteban Masson won the two Qualifying Heats in front of MacĂŠo Capietto. He took off in the Prefinal as his opponents clashed with some intensity. Louis Pelet finally took 2nd place against Capietto and Rogeon, while Gaspard Simon finished 5th. apietto and Pelet did not let Masson escape in the Final and even challenged him in 1st place. He was not concerned and took control as the battle raged behind him in the closing laps. Capietto returned to 2nd place ahead of Pelet, while Rogeon caught up and took 4th place at the expense of Simon. omás Gomes (Tony Kart / Rotax) won the two races on Saturday, the first against Afonso Ferreira (Praga / Rotax) and the second ahead of Tomás Lobo (DR). Gomes also started by taking pole position on Sunday, but Ferreira was the strongest in Final 1. Gomes won again in Final 2, followed by Ferreira and David Luis (FA Kart / Rotax) in 3rd. Tomás Gomes led the standings with 227 points, followed by Afonso Ferreira (209) and Tomás Lobo (198). veia followed by Gouveia. On Sunday, Costoya took pole and won Race 1 from Trindade with Gouveia finishing 3rd. In Race 2, Costoya won again, leading from the start with a gap of 0.240’’ ahead of Trindade and Gouveia. Christian Costoya leads with 214 points, followed by Salvador Trindade (207) and João Maria Gouveia (205). but ended up losing the victory to Malheiro ahead of Pernía and Oliveira. Couteiro secured pole position on Sunday, but Oliveira took the lead on the first lap of race 1. He won ahead of Pernía, while Malheiro was 3rd. In Race 2, Oliveira repeated the same scenario to win 2'' ahead of Pernía and Malheiro. João Miguel Oliveira and Adrián Malheiro share the lead with 210 points each, followed by Guillermo Pernía (208) and Miguel Couteiro (195). uilherme de Oliveira (Tony Kart) totally dominated the weekend. Poleman on Saturday, he led Race 1 from end to end to finish almost 3'' in front of Diogo Marques (Tony Kart) and Manuel Alves (Tony Kart). In Race 2, de Oliveira was again the boss, winning by 8'' over Alves and Marques. On Sunday, the same story was repeated with Oliveira in pole position and winner in Race 1.5" ahead of Marques, Jesse Doorgest (Tony Kart) finishing 3rd. De Oliveira also won Race 2 by 6.7’’ ahead of Doorgest, who drove a great race, while João Bazenga (Top Kart) took 3rd place. In the MAX ranking, Guilherme de Oliveira leads with 220 points, followed by Diogo Marques (201) and Manuel Alves (200). iguel Silva was fastest on Saturday with his pole position and victory in Race 1 against Diogo Martins (Tony Kart) and Tomás Ribeiro (Birel ART). In Race 2, Ribeiro surpassed the competition by winning in front of Miguel Silva (Praga) and José Barros (Kosmic). On Sunday, Pedro Perino (Tony Kart) won in Race 1, surpassing the pole holder, Matilde Ferreira (Praga), with Miguel Silva (Praga) finishing 3rd. In Race 2, Ribeiro recovered from 3rd place to win against Silva and Duarte Pinto Coelho (Tony Kart). The leader of the rankings with 210 points, Miguel Silva is followed by Tomás Ribeiro (206) and Pedro Perino (200). blem prevented Pires from starting, leaving Pinto to win in front of Coutinho. On Sunday, Mariano Pires totally dominated with pole position and two consecutive wins against Coutinho and Pinto. Pinto leads the standings with 207 points, followed by Gonçalo Coutinho (206) and Mariano Pires (165). n Saturday, Vítor Mendes (Praga) achieved pole position and won Race 1 followed by João Oliveira (Tony Kart) and Bravo Lima (Praga). Oliveira won Race 2 against Mendes and Lima. Oliveira dominated the second day by winning both races ahead of Mendes and Mark Dinis (Birel ART). In the standings, João Oliveira is leader with 217 points, followed by Vítor Mendes (204), while Mark Dinis and Bravo Lima are in joint 3rd place with 198 points each. The leader of the provisional ranking has not hesitated, but his opponents have been more and more pressing. Gaspard Simon set the fastest time, by only two thousandths ahead of Mattéo Spirgel. As usual, Esteban Masson took the lead by winning the two Qualifying Heats against Simon, Louis Pelet and Spirgel. asson won again in the Prefinal against Simon while Macéo Capietto returned to the pace and finished close behind in 3rd position. Three drivers set off in pursuit of Masson in the Final. Capietto stood out and came back within 2 tenths of the leader who clinched another victory. Simon got the measure of Pelet for 3rd place and Arthur Rogeon took 5th place. were delayed. Juho Valtanen (Kosmic / Iame) took the initiative in the dry in the Final and won the race in front of Civico, with Picot offering a strong resistance in the 3rd position. Rozenfeld and Ries Viverette (Kosmic / IAME) completed the top five while Chappard (Redspeed / IAME) returned to 6th place. anked 3rd last year, Doriane Pin (Kosmic / Rotax) dominated the 2019 edition of the French Women's Championship. She took pole position and won two heats out of three, while the fight was intense between Madeline Boisson (OTK / Rotax), LĂŠonie Claude (OTK / Rotax) and Lydie Valichon (Exprit / Rotax). Doriane won Final 1 on Sunday morning on a slippery track in front of Boisson and Claude before pursuing her goal in the second. Reinforced by a second win in the Final 2, Doriane made it a point of honour to win in the last after a tight duel with Boisson. Claude was delayed in Final 3 and Valichon took another 3rd place. 3rd in the 2018 edition, Doriane Pin has dominated the French Women’s Championship this year, winning her first FFSA Karting title. On behalf of Kartagene, Marc Berteaux is delighted with her progress and her success. doesn’t happen every day. Kartagene has helped her to seek partners to pursue her dream for several years. It's great to see a success like the Angerville weekend, which calls for other wins." vourite status by winning Final 2, more than 5'' ahead of her rivals. Solidly at the top of the provisional classification at the start of Final 3, she could have been satisfied with a 7th place to take the title. Those who know her were not surprised to see her fight a long duel with Madeline Boisson, who took the lead several times. Five laps from the finish, Doriane settled permanently in the lead and controlled the situation until the chequered flag. nated the race and took a very strong victory, while De Haan recovered 2nd position at the expense of Antonelli. Tuuka Taponen (Redspeed / Iame) came back from 12th to 4th place. Evan Giltaire (Sodi / TM) made a very good performance rewarded by 5th position in front of Ten Brinke. Qualified after a withdrawal, Enzo Trulli (CRG / Iame) caused a sensation by taking 8th in the Final, a gain of 28 places! Enzo Peugeot (Kosmic / Iame) finished in a convincing 11th position. Although little spared by mishaps, Capietto finished in 15th place, Marcus Amand (KR / Iame) 23rd and Arthur Rogeon (Sodi / TM) 24th. 2019 OFFICIAL SODI SUIT Thanks to the partnership between Alpinestars and the Sodi Official Team, this new official suit Sodi/Alpinestars, top end racing suit and conforms to the latest CIK FIA homologation standards, combines lightness and comfort. CONSTRUCTION: Technical two-layer construction that meets new homologation standards, featuring a 100 per centpolyamide outer shell and 100% polyester lining for excellent levels of cooling airflow and comfort. ERGONOMIC FIT: Engineered design for durability and superior performance fit. Mesh panels positioned on under arms and seat area. Fully-floating shoulder gusset construction with stretch material provides improved freedom of movement. CHARLES LECLERC'S FAN FORUM Forums have filled the web for a long time while the number of fans of Charles Leclerc has soared since the Monaco driver debuted in F1 at Ferrari. At the crossroads of these trends, the new www.charles-leclerc-fans.com site stands out for its attention to detail. reated by true karting and motorsport enthusiasts, this forum gathers information about Charles's career since 2012, when his talent was highlighted in KF2. The "results" and "wins" lists confirm his talent and the news published is full of interesting and referenced content without giving way to gossip. The conversations of the actual forum follow the same requirement for the posting of pointed and reasoned topics as well as passion for racing and for Charles’ talent. New to the web, www.charles-leclerc-fans.com is a highly recommended site to share enthusiasm for a charismatic driver at the dawn of a great career in Formula 1. THE DAWN OF A NEW ERA For its 49th season, Formula Renault opened a new chapter in its history last weekend in Monza with the introduction of the FR-19. More modern and more powerful, the car has already confirmed the attraction of the Formula Renault Eurocup, with one of the best fields of single-seaters in Europe. Hailed for its unequalled technical and sporting fairness, its extremely high standard of competition and its most prestigious calendar, the Formula Renault Eurocup has once again brought together an international grid of 22 drivers from every continent. setting the fastest time of the first day of practice at Magny-Cours before breaking the track record for the category in Barcelona. The protégé of the Renault Sport Academy has demonstrated that he made the right choice by leaving R-ace GP to join MP Motorsport. To replace him, the defending team will include Oscar Piastri and Alexander Smolyar, both leaders after two days of collective testing. After making a strong impression this winter, the two men will be hoping to convert their speed into wins to launch their season in ideal circumstances. he fight promises to be exceptional as there were 15 drivers in the same second at the last tests in Barcelona. Other competitors will rely on their experience in the field to increase their chances. After his first pole position and two podiums at Monza twelve months ago, Lorenzo Colombo (MP Motorsport) will this time aim for his first success in the category ... And his first victory since the one achieved at the same track in F4 at the end of 2017! At the time, Lorenzo Colombo was racing with BhaiTech Racing, a newcomer to the Formula Renault Eurocup. For their first events in the discipline, the Bada brothers’ team will count on two rookies from the Italian F4 Championship: the Czech Petr Ptáček and the Italian Federico Malvestiti. Always formidable when a new car is introduced, JD Motorsport will include three promising beginners. Along with the Italian Leonardo Lorandi and the Brazilian João Vieira, we must not neglect their team-mate Ugo de Wilde. Vice-Champion of France in F4, the Belgian has shown himself as one of the fastest rookies throughout the winter. Alessio Deledda will be the fourth transalpine driver to line up on the grid. The former biker will want to rely on his experience of the track and that of his teammate Xavier Lloveras to enable the Spanish team Global Racing Service to succeed in its Formula Renault Eurocup debut. he other competitors present will also have big ambitions. The French F4 Champion, the Renault Sport Academy driver Caio Collet (R-ace GP) will hope to continue the momentum of his title, as will Amaury Cordeel (MP Motorsport), crowned in Spain. Regularly in the leading positions this winter, Arden Motorsport will rely on the rookie Patrik Pasma and the experience of his team-mates Sebastián Fernández and Frank Bird, always at home in Italy. After winning in New Zealand, M2 Competition will tackle the Formula Renault Eurocup with the firm intention to repeat its ascent to the top. For its first European campaign, the Jonathan and Élise Moury’s team will rely on his trio of Esteban Muth, Yves Baltas and Kush Maini, the latter having already tasted the joys of the podium at Monza in 2017. Finally, the team FA Racing by Drivex supervised by Fernando Alonso and Pedro de la Rosa will be closely watched this weekend for its major debut in competition. Former member of the Red Bull Junior Team and the Lotus F1 Junior Team, Callan O'Keeffe will lead the team with his ambitious team-mates Brad Benavides and Patrick Schott, both Formula Renault Eurocup rookies. on the starting grid. Italy will be the best represented nation (four drivers), ahead of Belgium (three) and Brazil and the United States (two). 10 CIRCUITS HOMOLOGATED FOR F1. 13 ROOKIES WILL FIGHT FOR THE HANKOOK TROPHY. Awarded to the highest ranked rookie of each race, this one comes with a set of tyres to use in 2020. 15 COMPETITORS IN THE SAME SECOND on the last day of testing. 30 MINUTES + 1 LAP (except in Monaco).